PPC: A Cost effective way to increase traffic and improve conversion rates. PPC helps in increasing visibility of your business with your website appearing over and above the search results. With the use of effective keywords your ads are displayed to customers actually interested in your services or products improving click through rates and conversions. 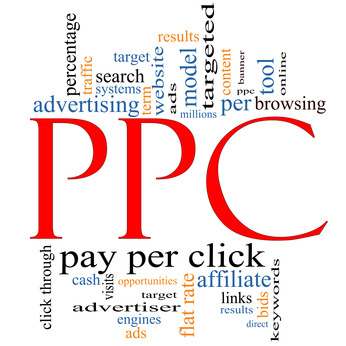 The section below answers some of the most frequently asked questions about PPC. "What is Pay Per Click (PPC) advertising?" Pay Per Click (PPC) advertising allows the advertiser to pay for an advertisement to appear in popular search engines such as Google, Yahoo and Bing. The advertiser only pays when a user clicks on their advertisement and visits the advertiser’s website. Unlike other types of advertising where the advertiser pays for advertising space in the hope that a potential customer will see their advert and connect with their brand, PPC is results based. The advert can be shown to thousands or millions of viewers and the advertiser only pays for viewers that show an interest in their service. "Where do PPC adverts appear in search engines?" PPC advertising targets users who are actively searching for a product or service. PPC adverts appear to users that have typed in keywords that you have defined represent your offering or business. The PPC advert appears alongside and above the organic search results on the search engine results pages as shown below. Paid results are highlighted in red. The first step is to decide which keyword phrases you want to trigger your ads. Most Pay Per Click (PPC) advertising platforms are based on a bid per keyword model. All advertisers, including some of your competitors bid on the same keywords. You must decide the maximum price you wish to pay for your keyword if a visitor clicks on your ad. At Complete Cloud, we complete a thorough keyword analysis for your campaign to help you select the most effective keywords for your business. "Where will my PPC advert appear?" The bidding model is used to determine the location of your advert. Google AdWords is the largest PPC advertising channel and displays a maximum of 11 ads per page. This usually comprises of 3 adds above the organic search and up to 8 adds on the right hand side of the organic search. The advertiser with the highest bids usually has their ads appear from top to bottom in order of highest bid to lowest bid. "How do I select the most effective keywords?" Keyword selection is critical in ensuring your campaigns success and is where you need a search firms’ expertise the most. At Complete Cloud, we conduct a thorough analysis of your business, website and competitors. This feeds into assisting you define the goals and outcomes you want to achieve from your PPC strategy. We use this information and help you find the keywords that will achieve your goals based on your current budget. Contact us to find out how we can help you with your PPC campaign. "How is the cost per click (CPC) determined?" "How do I know if my campaign is effective?" At Complete Cloud we provide regular detailed reporting and analytics for our Pay Per Click (PPC) advertising campaigns. This information is used to drive the ongoing campaign and is used to set daily and monthly budgets allowing you to effectively manage your PPC budget to ensure you are getting the best return available. "When should I use PPC?" Pay Per Click (PPC) advertising is most effective as part of an overall online marketing strategy. PPC is most effective to generate immediate results for your business. Campaigns can be created and posted relatively quickly and can start generating clicks and revenue immediately. PPC is a great way to drive traffic to your website or store when you first launch in the absence of organic search. If you want to generate interest in a flash sale or want to move older stock, PCC is a great way to get the word out to the marketplace. PPC can also be a cost effective way to test a new product or service and gauge consumer response. You can trial a number of offerings and modify your offerings on the fly based on what is popular. It is a great way to collect live consumer feedback. Complete Cloud can help you find an effective way to use PPC for your business. "Why would I user a search firm?" It’s simple, a search firm can save you both time and marketing dollars. How? Through experience and knowledge of the most effective ways to run PPC campaigns. Contact Complete Cloud to find out how we can help your business achieve success with your PPC campaign.